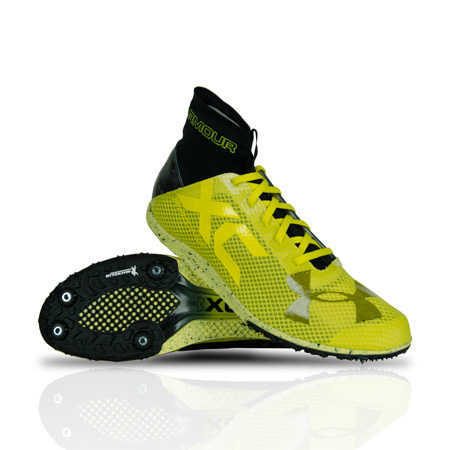 The Under Armour Bandit XC Spike prepares cross country runners for the toughest courses and the steepest hills. A lightweight, breathable mesh upper promotes breathability while the extended ankle collar provides a secure fit and feel for optimal stability on uneven terrain. A padded, interior heel cup comfortably secures the foot during repeated movement while running. Upper: Lightweight mesh upper material for enhanced breathability. Extended ankle collar provides stability. Padded heel cup enhances comfort. 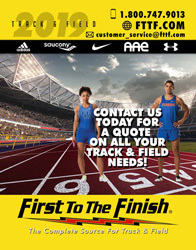 Midsole: ArchFit systems secures the arch, providing foot guidance. Super lightweight Pebax® plate placed at the forefoot for quick transitions.